Eight years ago, you fell in love with a cozy, three-bedroom Cape. Two kids and a French bulldog named Lulu later, and you’re now in desperate need of some additional space. But in order to be able to afford a step up, you’ve got to get big bucks for your current residence. You haven’t done anything to it since you moved in almost a decade ago, however, and it’s definitely showing its age. Fortunately, you don’t have to spend a fortune on home improvements. Here are seven low-cost home improvement tips to help you sell your home for top dollar. Curtains are great for privacy and saving on energy costs, but no one wants to live in a dark cave. If you’re trying to sell your home for more, now’s the time to take them down —or open them wide— to let the sun shine in. And to make your house as bright and cheery as possible, swap out all your existing light bulbs for the brightest ones that can safely be used with your lamps and fixtures. The sound of flowing water can certainly be peaceful — but not to potential buyers. Grab a wrench (or call a plumber, if you don’t feel comfortable D.I.Y.ing it) and repair any leaky faucets or shower heads or running toilets. Added bonus? Any mildew growing in these spots because of the constant moisture shouldn’t reappear once they’ve been cleaned. 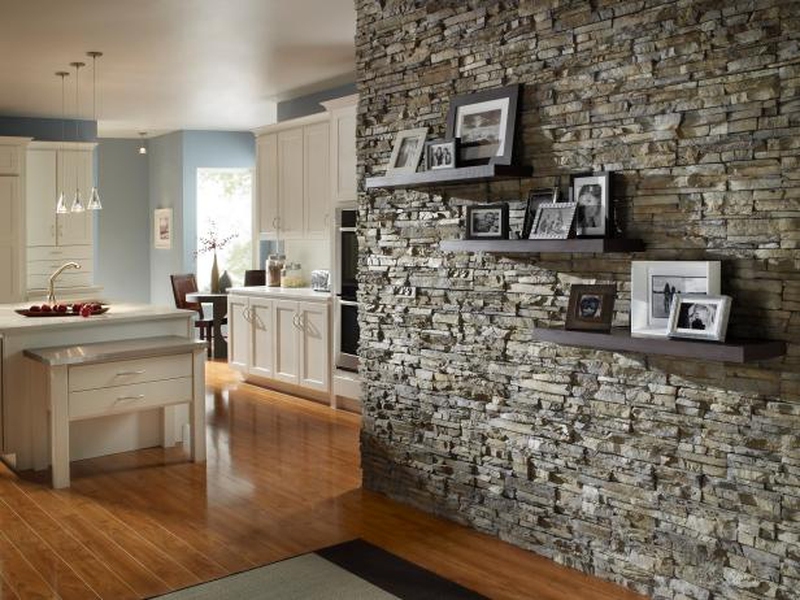 A remodeled kitchen can virtually sell a house itself. Literally. Since a top-to-bottom renovation isn’t in the cards, swapping out your cabinet’s pulls can do a lot to spiff up the place. You can find inexpensive hardware at big-box home improvement stores or online, and installing them shouldn’t take more than hour. Just keep in mind that your replacements will need to match up with existing holes that have been drilled into your drawers and doors. In other words, you can’t replace a three-inch bar pull (which is attached with two screws) with a single knob. Sure, your 5-year-old daughter loves her hot pink bedroom walls. But not every buyer is going to have a child her age, making that wall color a drawback instead of an asset. Tone it down by putting up something neutral (think: a soft grey or a natural linen color) before putting the “for sale” sign out in your yard. And if you have a small room that’s painted a dark color, repaint it with a light wall color to make the space appear larger than it actually is. Maybe that rumpled bedspread doesn’t bother you, but it’s a turnoff to home shoppers —yes, even though it isn’t part of the actual structure. Purchasing all new coverings (think: shams, throw blanket, sheets, comforter) and several throw pillows for each bed gives the appearance of a nice hotel room. Added bonus? You’ll have fresh stuff for your new digs once you move. Just because you lived with 1970s avocado-green ceramic tile in the powder room doesn’t mean that a buyer is willing to do so. Fortunately, updating your bathroom doesn’t mean you have to tear down the tile and replace it with new. Instead, do the low-cost alternative and paint it. All you need to do is cover it with a high-adhesion primer and follow that with a ceramic epoxy — a small remodel job that’s certain to net you top dollar. Server responsed at: 04/19/2019 4:25 a.m.